Ever heard about that movie titled The Wolf of Wall Street? Well, in case you were wondering, someone was actually nicknamed that. No, we don’t mean he was named after the 2013 movie; the movie actually took on the title of his bestselling memoir published six years earlier. Amongst other things, Jordan Belfort is famous for making millions of dollars in the 1990s through his investment company, Stratton Oakmont. What earned Jordan Belfort this scary title is what you’re about to find out in this post. 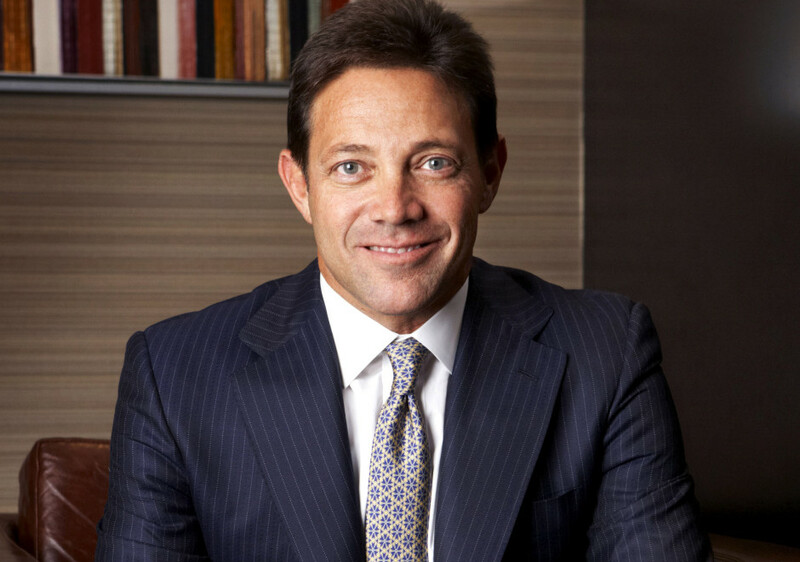 So sit tight as we walk you through Jordan Belfort’s life including his current net worth. Jordan Belfort (a.k.a Jordan Ross Belfort) was born on July 9, 1962, in Queens, New York, to Jewish parents (Max and Leah) who were both accountants. Although Belfort obtained a bachelor’s degree in biology from American University, his natural talent flourished as a salesman. Right from his early twenties, Belfort’s sales instincts drove him into operating door-to-door meat and seafood business in Long Island; this was in the 1980s. He tried his hands on another field when he proceeded to The University of Maryland School of Dentistry. But he soon backed out after his first day at the college when the dean spewed out what Belfort perceived to be bone-chilling advice about dentistry not having a future any longer. Jordan Belfort soon delved into stocks. Through the help of a family friend, he secured a job as a trainee stockbroker at L.F. Rothschild. However, he was soon laid off after the firm ran into financial difficulties related to the Black money stock market crash in 1987. Not a guy to give up, Belfort began running his own investment operation, Stratton Oakmont in 1989. The firm was known for marketing penny stocks and defrauding investors with pump and dump type of stock sales. With millions of dollars rolling in, Belfort succumbed to a lavish lifestyle of partying and drugs. The young chap acquired expensive cars, a Yacht and a helicopter which he accidentally crashed onto his own Yacht. His addiction to Quaaludes contributed to the crash of his second marriage. Things eventually went awry for the rich guy when the law began taking note of his dubious schemes. In 1992, the Securities and Exchange Commission doubled its efforts to crack down on fraudulent activities that made Stratton Oakmont soar in stinking revenue. Plus, the National Association of Securities Dealers struck off Stratton Oakmont from its membership and in 1996, the company was ordered to be liquidated to pay off its fines. By 1999, Jordan Belfort pleaded guilty to money laundering and securities fraud. The penalty was a four-year jail sentence that eventually lasted only 22 months. In 2003, he was also asked by the court to refund $110.4 million to stockbrokers that had been swindled by his fraudulent activities. Serving his term in jail, Belfort befriended Tommy Chang who later inspired him to write and publish his past experiences as a stockbroker. This little move is what launched Belfort into the astounding motivational writer and speaker that he is today. Today, Jordan Belfort consults for over 50 public companies and his writings have been published in multiple languages, in various magazines and newspapers around the world. In 2008, Belfort published his memoirs, The Wolf of Wall Street. The book quickly became an international bestseller and had to be translated into 18 languages, published in over 40 countries. In 2013, the memoir was later adapted for the screen by Martin Scorsese, starring Leonardo DiCaprio and Jonah Hill. 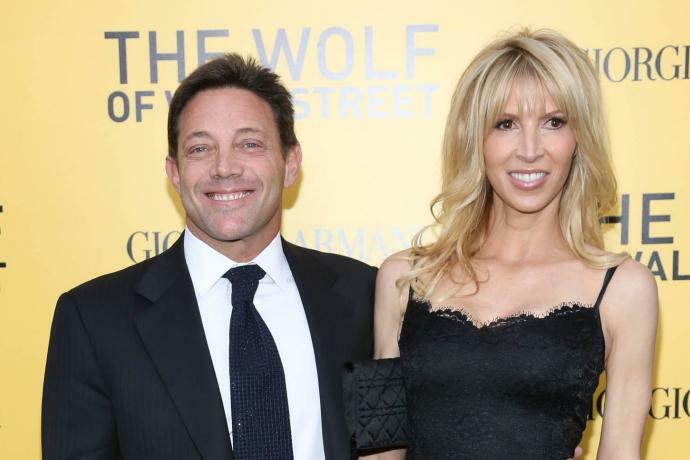 A year after publishing The Wolf of Wall Street, Belfort released yet another memoir titled Catching the Wolf of Wall Street, which talked about his life after arrested and detention. Jordan Belfort’s eventual rise out of financial squalor has in no small way sold his story as a motivational speaker and author. Close sources reveal that Belford has successfully amassed an estimated net worth of $100 million, much of which came from his speaking and writing career. He has held multiple sessions, tours, and live seminars in Australia and other parts of the world. Plus, he received a whopping $500,000 advance from Random House before the premiere of the 2013 movie, The Wolf of Wall Street. Through his company, he currently conducts sales training and markets Straight Line training programs for wealth creation. Following the crash of his first and second marriage to Denise Lombardo and British model Nadine Caridi respectively, Belfort seems to have found love in the arms of Anne Koppe. The two had been dating since 2005 and got engaged in 2015. They now live together in Los Angeles, California, with his daughter, Chandler, and son, Carter, who came from his second marriage to Nadine Caridi. According to her LinkedIn profile, Chandler currently lives in Allentown, Penn, and works as a Research Assistant at the Social Cognition and Imagination Lab. Carter on the other hand studies at Muhlenberg College, California. Jordan Belford is of the athletic build; standing at a height of 5 feet 7 inches (1.7 meters). He weighs 67 kg, has blue eyes and wears black hair. There are no details about his chest, biceps, waist, and shoe sizes. Other facts to know about the Jewish-born is that he currently practices Judaism, and is also a lover of tennis. Belfort is also an only child and has no siblings. He is also very much active on Facebook, Twitter, and Instagram.